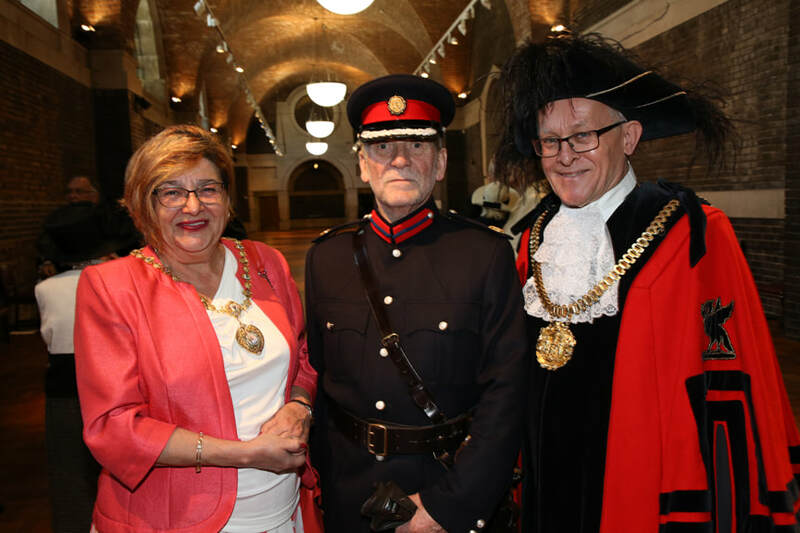 Mrs Abila Pointing MBE DL represented the Lord-Lieutenant at the National Day of Romania celebration held at the Liverpool Seafarers Centre on Saturday 1st December 2018. 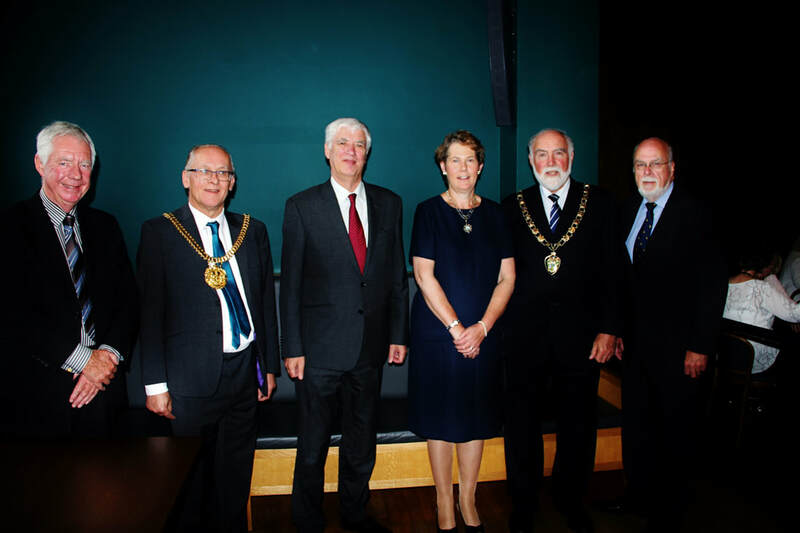 The photograph shows (from L-R) the Hon Consul of Romania in Liverpool, Mr Viorel Raducanescu, Mr Robert Pointing, Mrs Abila Pointing MBE DL, The Hon Consul for Italy in Liverpool Dr Nunzia Bertali and her husband. 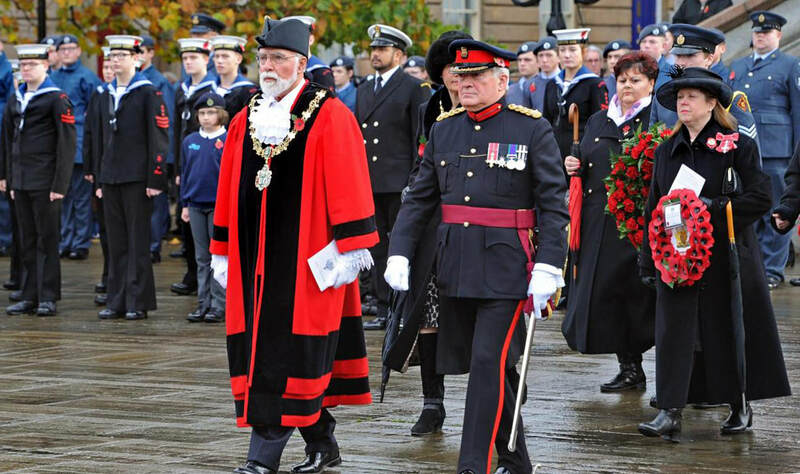 Representing the Lord-Lieutenant at the Wirral Remembrance Day service on 11th November 2018, Colonel Martin Amlôt OBE DL joined the Mayor of Wirral, Councillor Geoffrey Watt, at the Cenotaph at Birkenhead Town Hall. 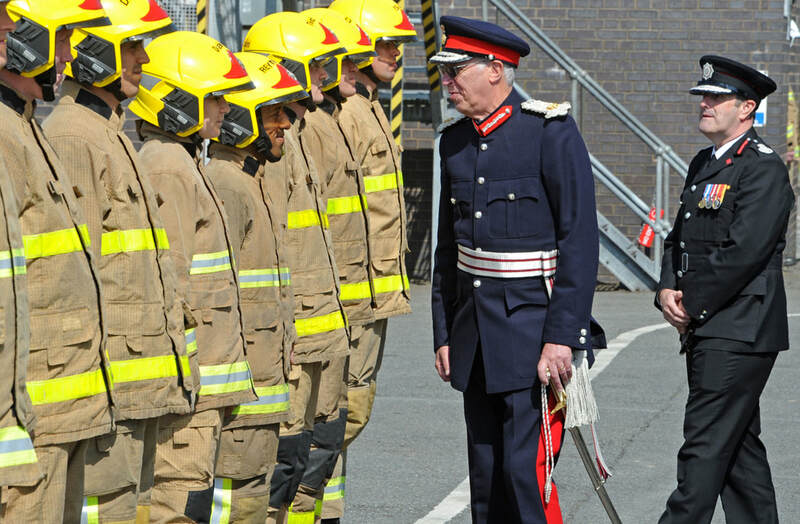 Each year the Lord-Lieutenant appoints young people to fulfil the duties of Lord-Lieutenant's Cadet. 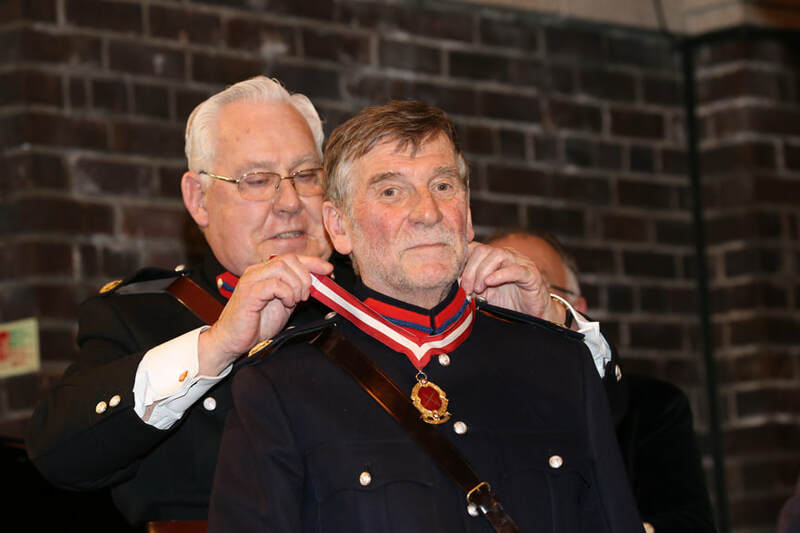 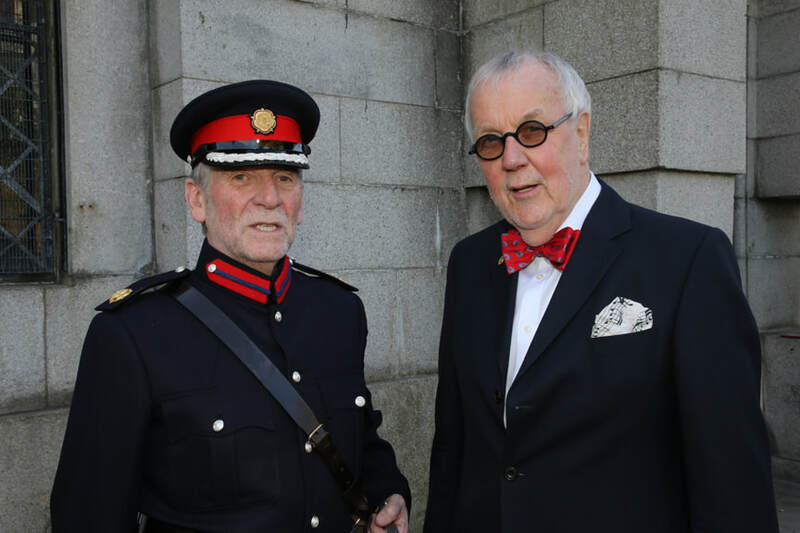 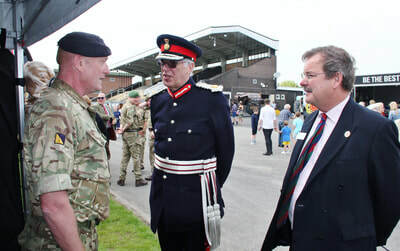 Their duties are to be available when possible to support the Lord-Lieutenant on all appropriate occasions, especially those involving meeting members of uniformed organisations or young peoples' groups. Cadets carry out their duties whenever their priority commitments to their families and to their education allow. 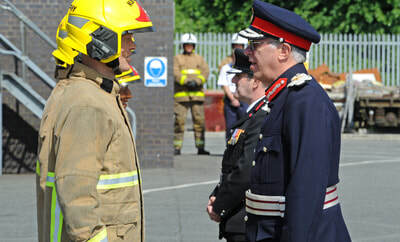 The Lord-Lieutenant attended the ‘Battle of Britain Reception’ at RAF Woodvale on Wednesday 5th September. 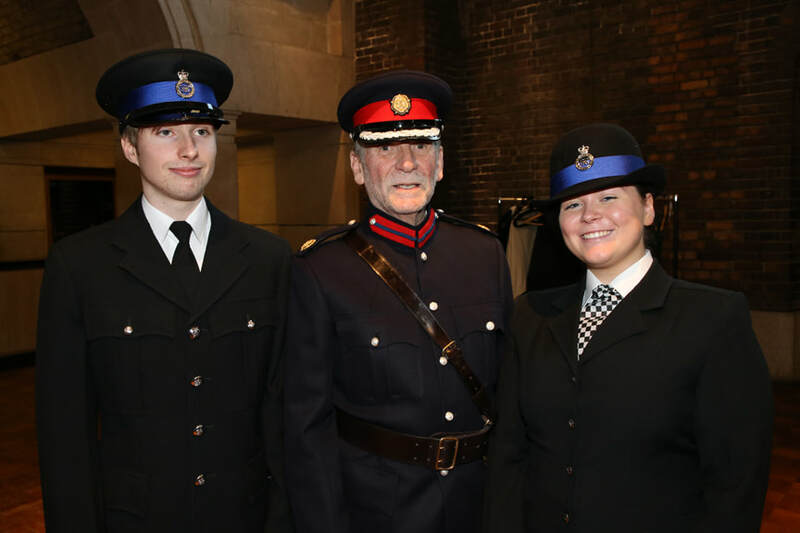 At the event the Lord-Lieutenant presented two Certificates and Badges to his new Cadets to formalise their appointment as his Cadets for 2018/19. 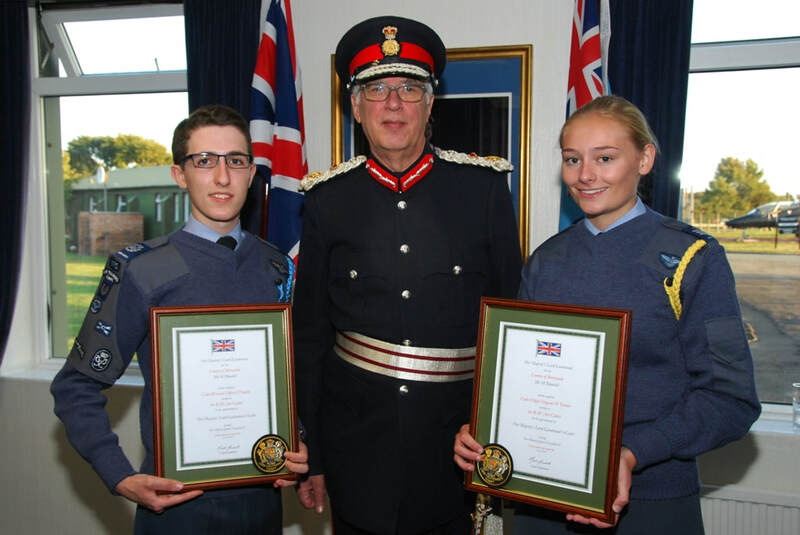 The two cadets appointed are​ both from the Air Training Corps (ATC) and are Cadet Warrant Officer James Francis ATC of 1175 (Prenton) Sqn ATC, and Cadet Flight Sergeant Danielle Turner ATC – 90 (Speke) Sqn ATC. 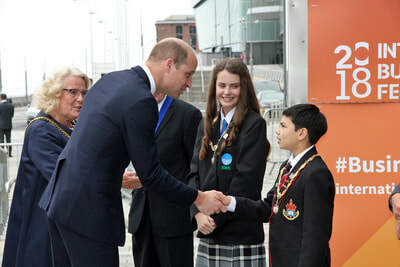 HRH The Duke visited the International Business Festival, held at the Exhibition Centre Liverpool for nine days in June 2018. 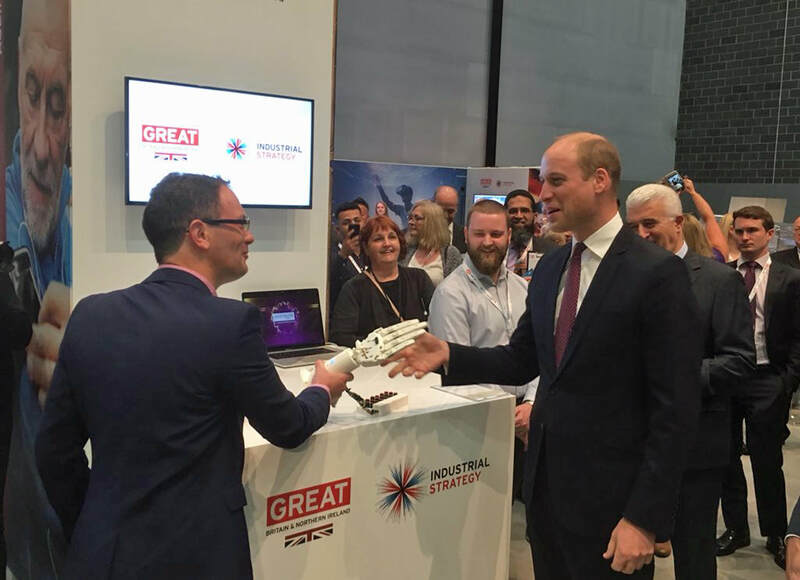 The festival has attracted visitors from around the world to debate subjects from green energy to the rise of the robots. 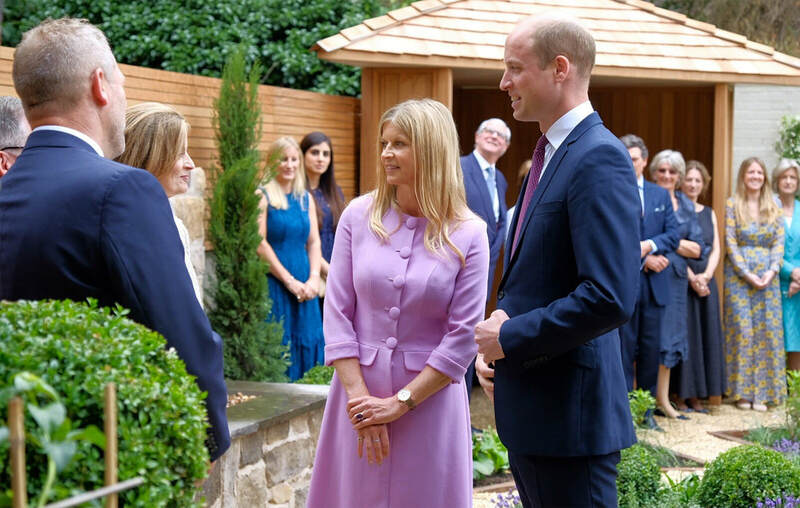 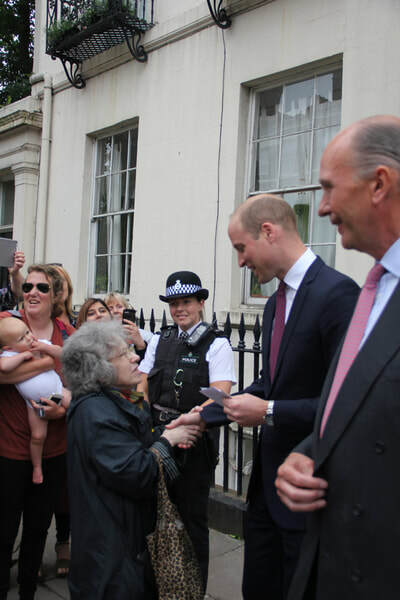 HRH was announced as the patron of the event last year. This year he met delegates, including the young entrepreneurs taking part in the NextGenFest for 16 to 24-year-olds. HRH also gave a short address on the festival's main Futures Stage. 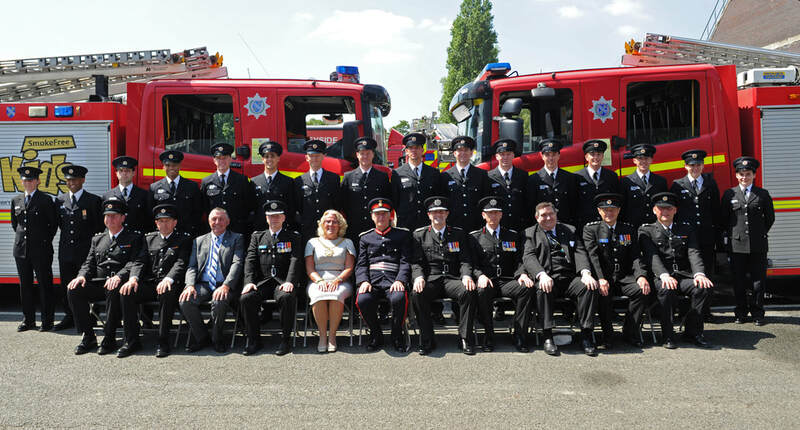 The Lord-Lieutenant was the principal guest at the Pass Out Parade of the Merseyside Fire and Rescue Service Operational Firefighters on Thursday 7th June at the Training and Development Academy, Croxteth. The Lord-Lieutenant was hosted by Mr Phil Garrigan, the acting Chief Fire Officer and was accompanied by the Lord Mayor of Liverpool, Councillor Christine Banks. 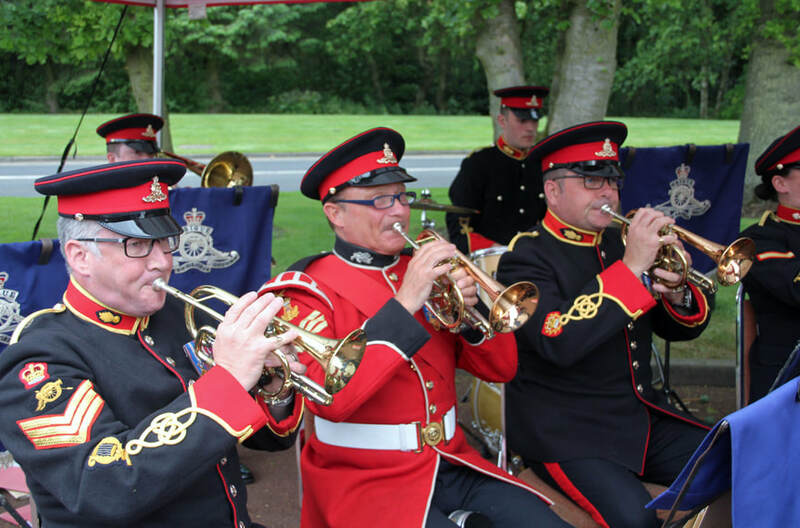 To mark Armed Forces Day 2018, the Army Benevolent Fund held a reception at Haydock Park Racecourse. 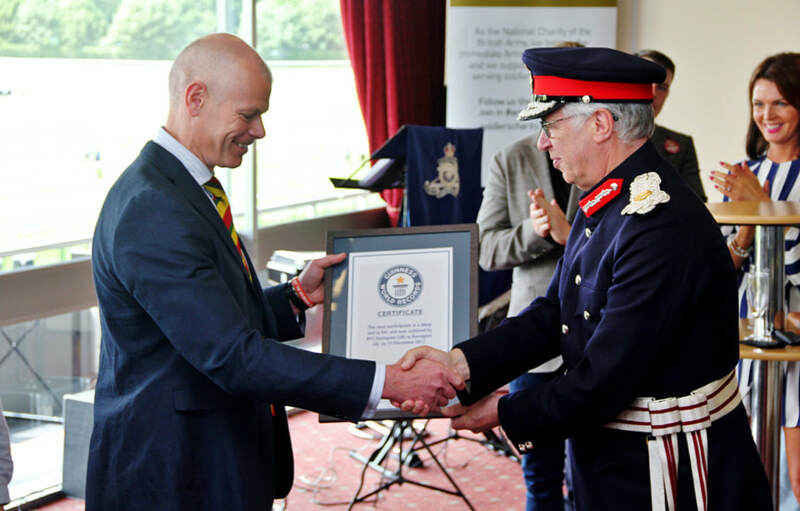 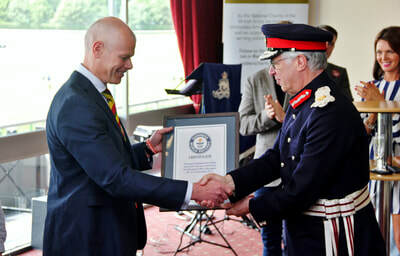 The Lord-Lieutenant presented a certificate marking the achievement of a Guinness World Record by the Army Foundation College Harrogate for 'the most participants in a bleep test' achieved in December 2017. 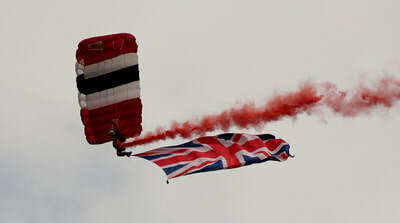 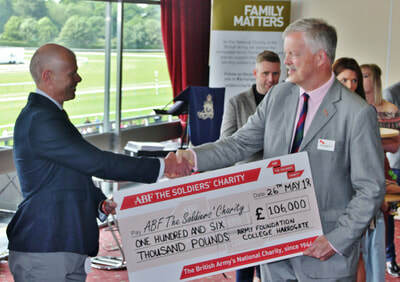 The College raised £106,000 for the Army Benevolent Fund, presenting the cheque to Brigadier Robin Bacon, Chief of Staff of the Fund..
​Including in the event were displays by the Red Devils Parachute Display Team and the Lancashire Artillery Band, and static displays of military personnel and equipment. 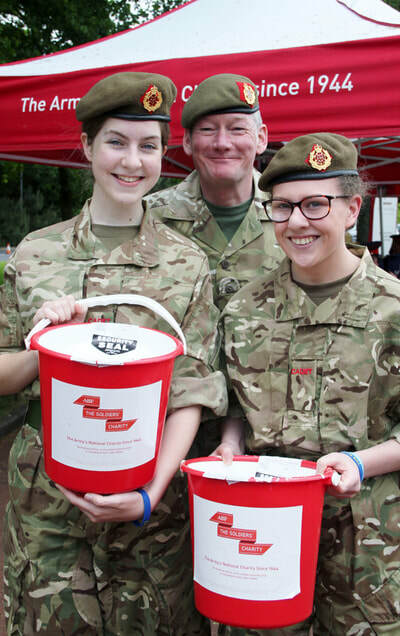 A collection was made for the Army Benevolent Fund. 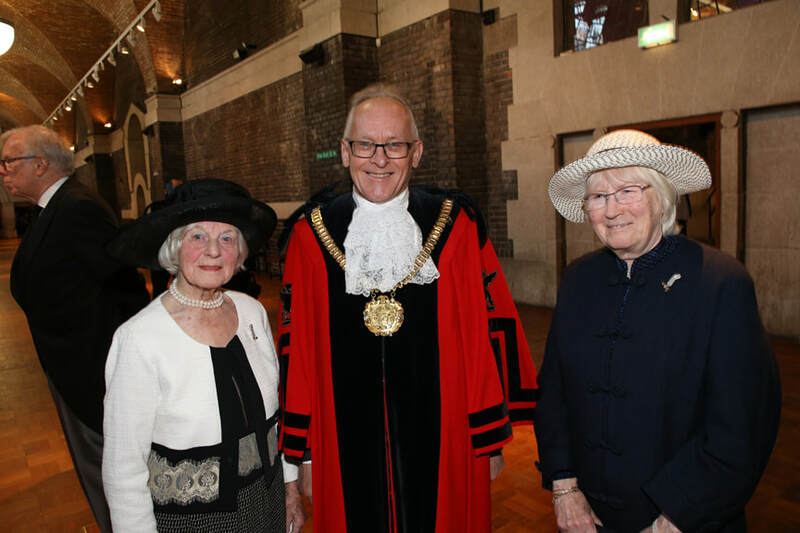 The Lord-Lieutenant of Merseyside, Mr Mark Blundell, presided over the historic ceremony of the installation of the new High Sheriff of Merseyside, Mr Peter Woods DL in the Lutyens Crypt of Liverpool's Metropolitan Cathedral. 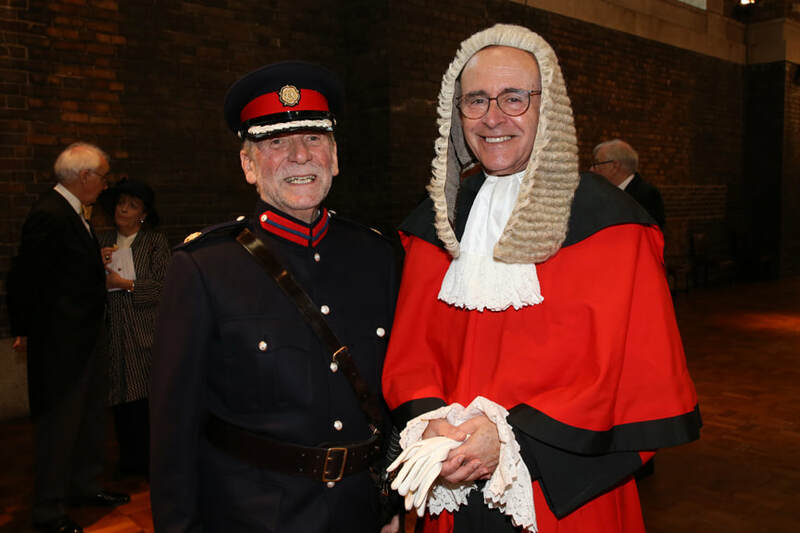 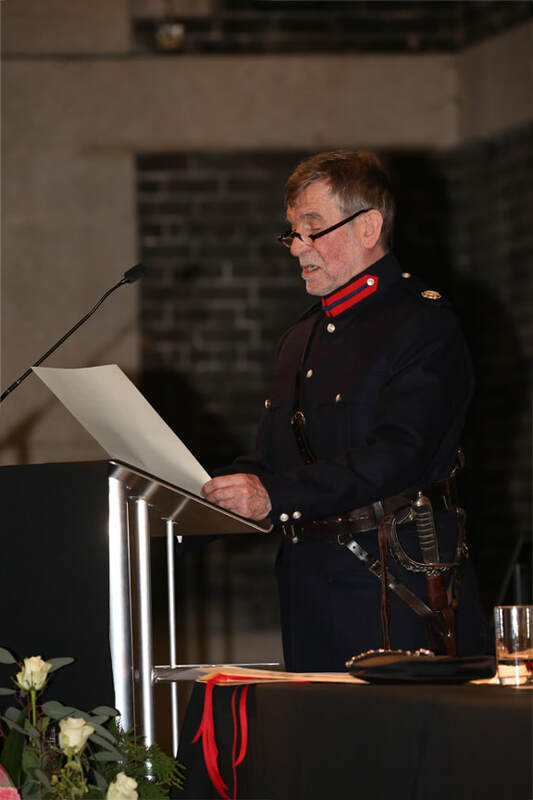 The ceremony and the formal promises the new High Sheriff makes are both rooted in ancient precedent but are also wholly relevant to the High Sheriff's important role today. 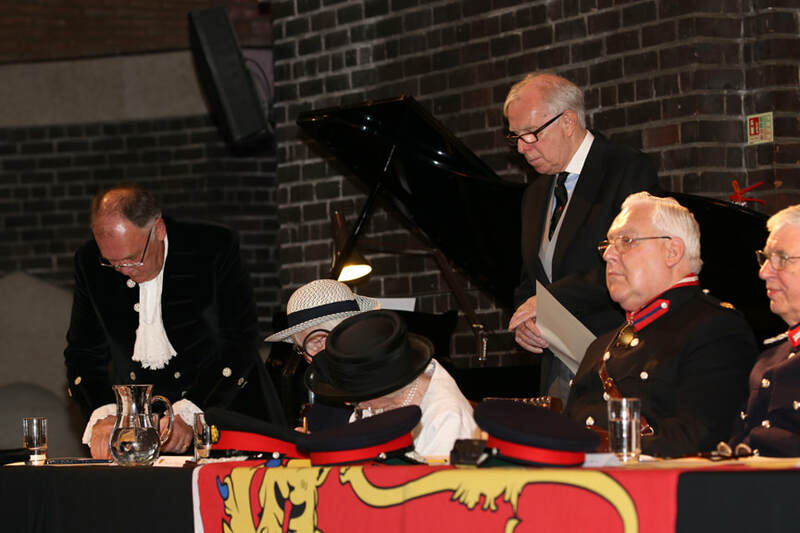 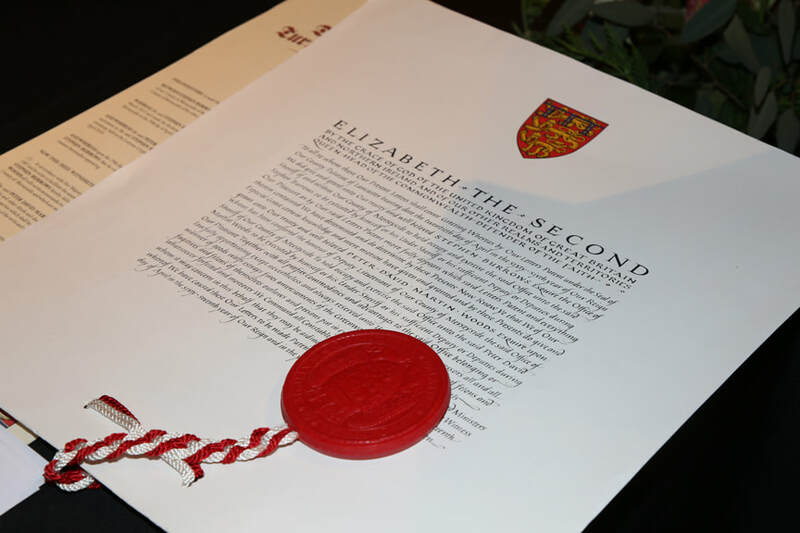 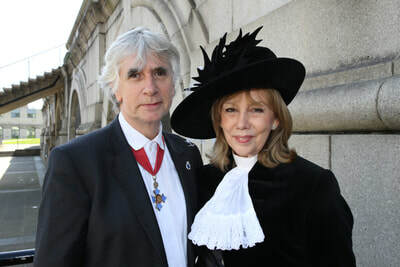 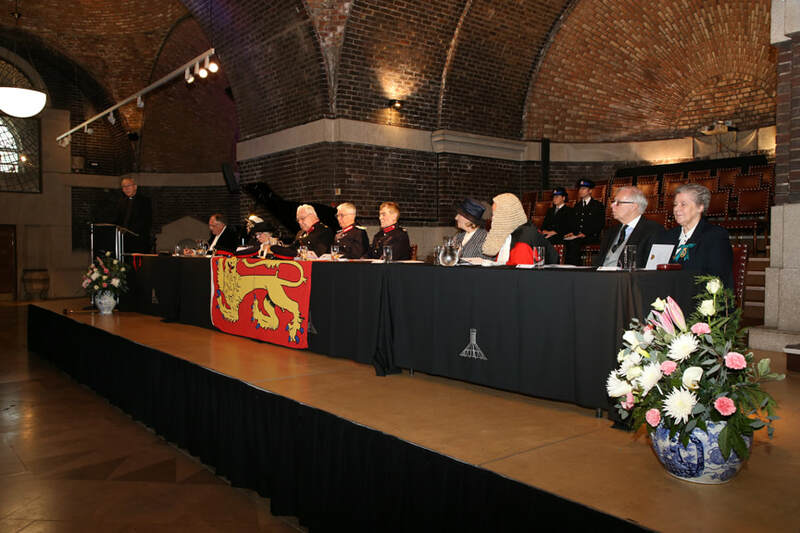 Although the High Sheriff's duties are wide ranging, a significant part of the role is to act as Her Majesty the Queen's personal representative for law and order in the county. 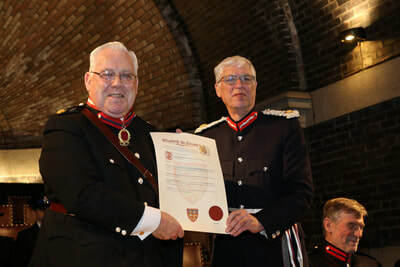 The proceedings were conducted by the Under-Sheriff of the Duchy of Lancaster, Mr David Cam DL in front of dignitaries who included the Recorder of Liverpool, His Honour Judge Clement Goldstone, the officiating magistrate, Mr Robert Owen JP DL and two Commissioners, Lady Pilkington MBE DL and Mrs Jean Wotherspoon OBE DL. 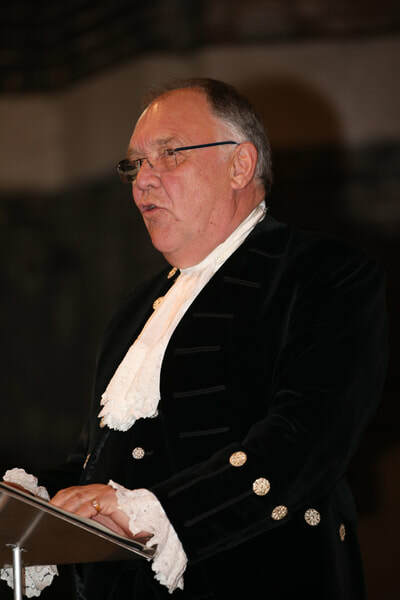 The Dean of the Cathedral, Canon Anthony O'Brien welcomed the official party and guests. 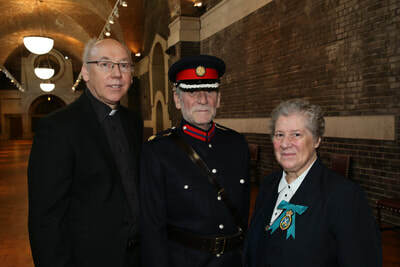 Prayers at the conclusion were said by Sister Betty of the Pauline Bookshop, who together with Canon Anthony will be the High Sheriff's Chaplains this year. ​Click on each photo below to see a larger version with its caption. 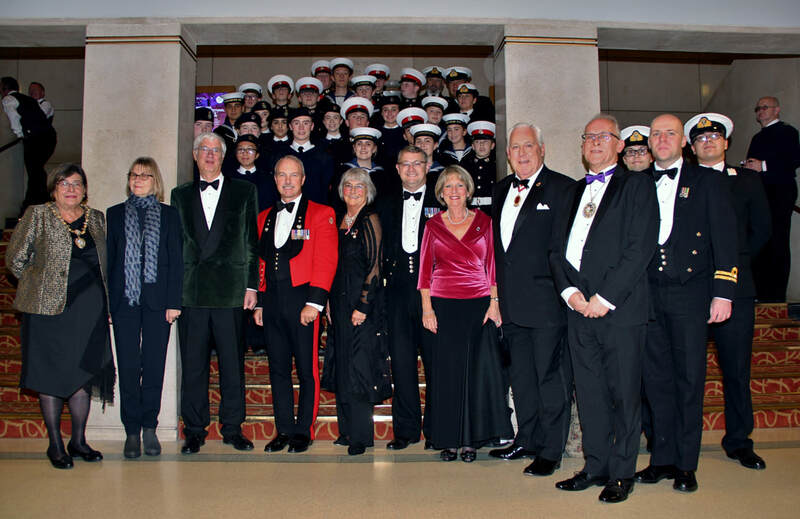 The Lord-Lieutenant and Mrs Bibby were joined by the High Sheriff and Mrs Burrows and the Lord Mayor of Liverpool and the Lady Mayoress at the Royal Marines Band Concert in the Philharmonic Hall, Liverpool. 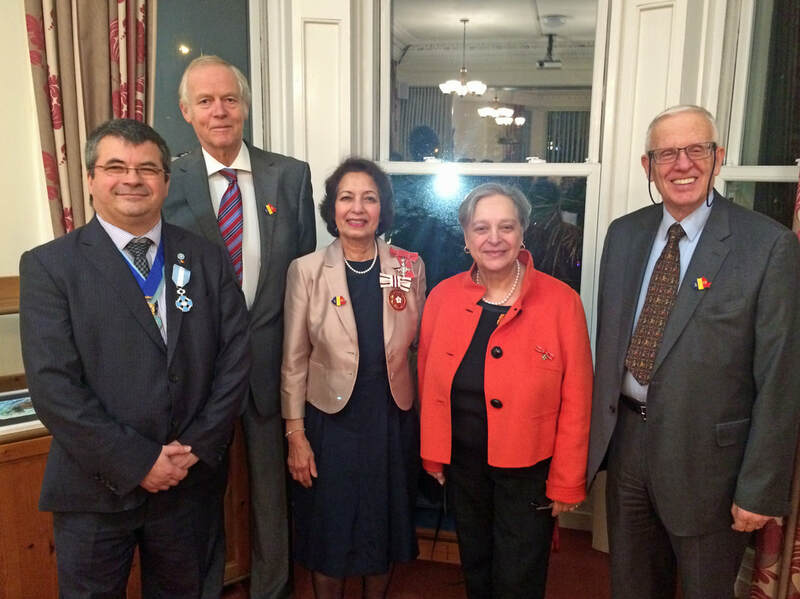 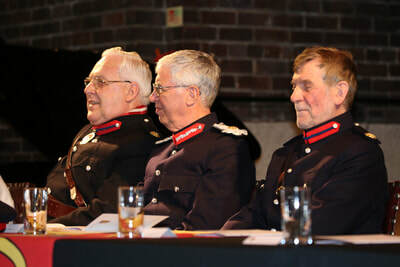 The Lord-Lieutenant, together with the Lord Mayor of Liverpool and the Deputy Mayor of Wirral attended the concert of the League of Welldoers. 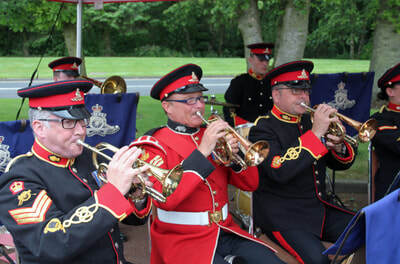 Regular concerts, holidays and outings. 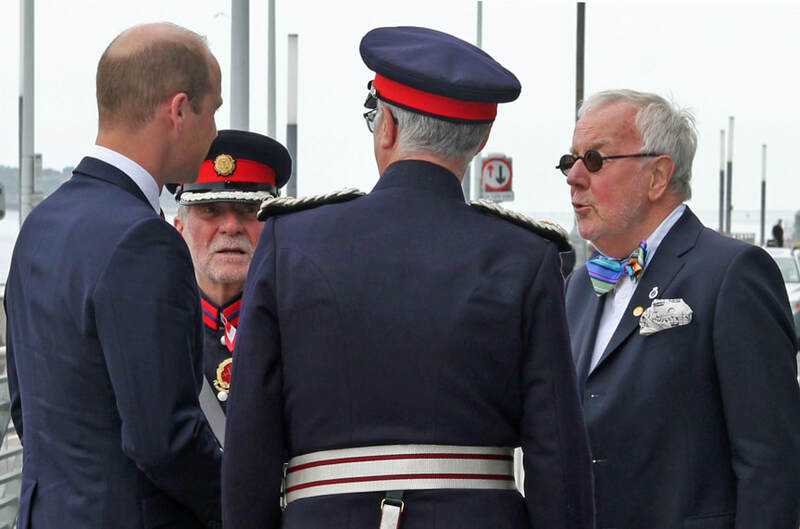 A charity shop on the premises, open weekdays between 10.30am-1.30pm. Since April 2008 it has received an annual grant from Liverpool City Councils Community Resources Programme, which enables it to provide additional services which include, twice weekly shopping trips, outings during the Summer months and transport for other organisations to join the League for daily lunches and the many other activities on offer. 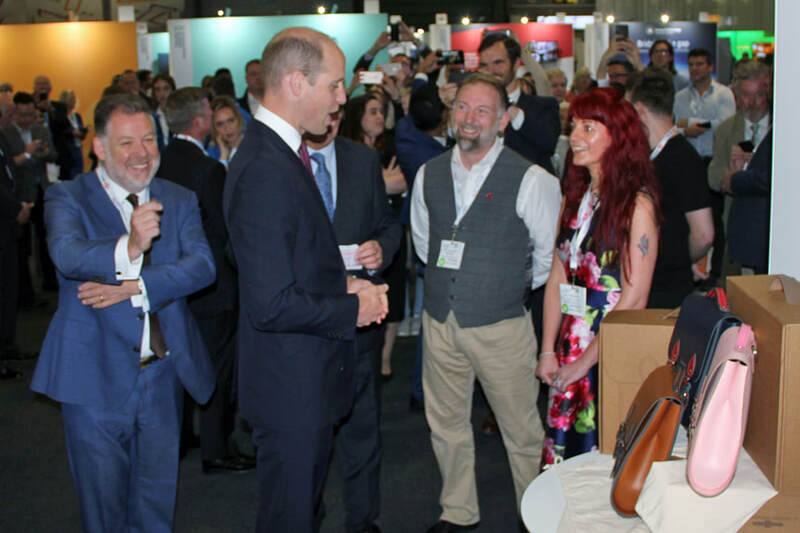 “We are delighted to have been awarded the Queen’s Award for Enterprise in recognition of the work we do to promote opportunity and support social mobility. 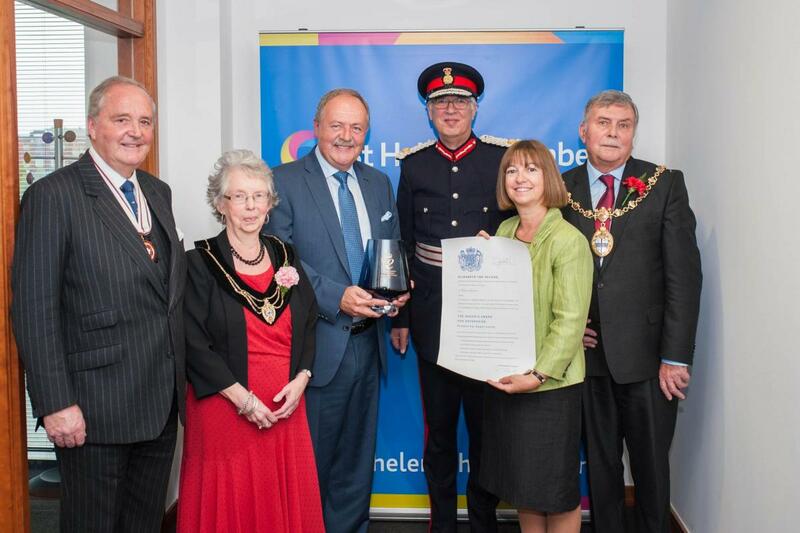 “The commitment of our staff is exemplary and the work we do makes a huge impact on people and businesses in St Helens.